With the warm weather starting to make an appearance and calendars being marked for vacations, it’s important to keep in mind some safe tips to ensure your family has a memorable and enjoyable summer vacation. 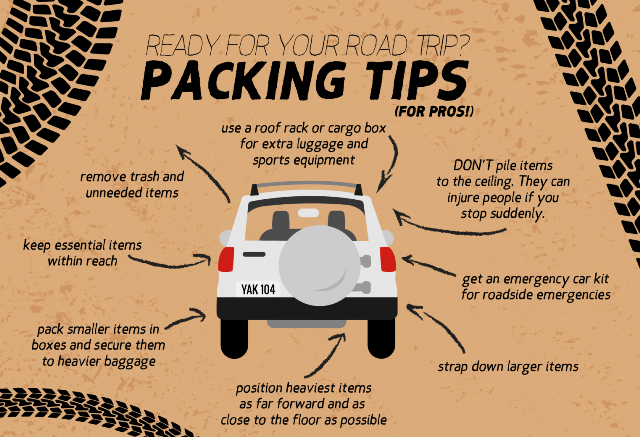 Whether you are traveling to the beach for the weekend or across the country for a month long trip, there are simple things you can do to be prepared for any type of emergency along the way. Here are a few quick tips to make sure you’re ready to enjoy that summer breeze! If you are knowledgeable about cars, volunteer to help out your elderly neighbors and offer to take a look at their cars as well! If you’re traveling to New Jersey for the summer, check out our monthly calendar and register for an opportunity during your vacation here!! It’s a great way to connect with the community you’re spending time in during your stay. And remember, DO NOT TEXT AND DRIVE! If you need to use your cell phone for any reason, please pull over to a safe spot off of the road. For more information about road trip and highway safety, visit www.ready.gov/car and www.redcross.org/prepare/disaster/highway-safety.